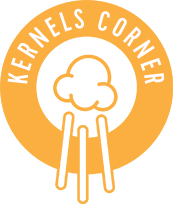 By Kernels Popcorn | Feb, 2016 | Tagged " Kernels Corner "
I recently read about the difference between providing your customer with value added service like special promotions and VALUE UNIQUE services that really make you stand apart from your competitors. An example of a Value Unique Service I read about was a car dealer programming your favourite radio stations in your new car, something easy and not costly for the dealer to do, but greatly appreciated by the customer. I wanted to formally recognize an extraordinary employee at your Markville location, Marlene. I visited Kernels on Sunday looking for ideas for guest favors for my daughter's 1st birthday. Marlene was so helpful and provided various suggestions and was so patient when I was indecisive. When I finally decided I could see how much care she took while putting together my order while being so efficient at the same time! I picked Chicago style and it was more work as she had to mix up the flavors ...I even offered for her to not have to mix up but she was so kind and said it was how it was meant to be enjoyed, the two flavors mixed! I was so happy with the service she provided me that for my next corporate function I'll be bringing popcorn as the treats. I hope you recognize Marlene for the great job she's doing :)”. Lots of Value Unique Services here… Marlene’s patience, efficiencies and extra effort to blend the flavours were very much valued by this customer. Our free sampling, share bags and new wet naps are all value unique services that we should offer daily. What other value unique services do you provide? More good news! Diana just had customer buy popcorn, leave, and then come back a few minutes later with a $5 Tim Horton's gift card. She told Diana that she has super good customer service skills and that she seems like a wonderful person. How nice is that?! Kernels customers are the best! Here are a few more emails to be proud of. Let’s all harvest these same customer experiences. Bramalea City Centre – email to Brian, our store Manager from Yael..
Nice of her to call for no other reason than to express gratitude! Keep up the great customer service work! “I went to Kernels Friday, January 22nd, at Dufferin Mall and decided to get popcorn. I got a great service from a lady, she's very polite, always smiling and she's very friendly. Definitely going back again!!!! 10/10”. Congratulations to Mai at our Kernels Richmond Centre location for submitting her entry for our Good Life Contest last month. Mai is great to always comment about the Customer Corn-er memo and loves to engage with her customers. She works hard with her team and says she reinforces awesome customer service daily. Thanks Mai for your input and support.